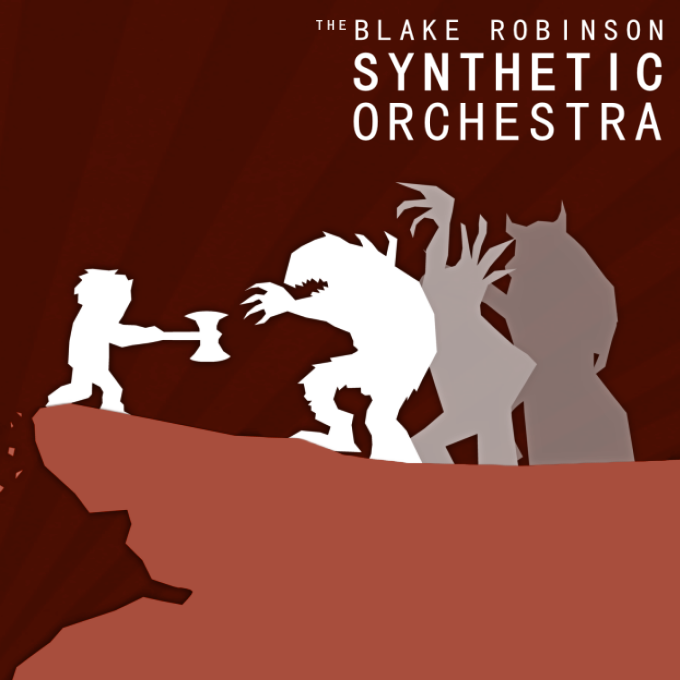 Blake is best know as Synthetic Orchestra, making beautiful and playful classical/film-score/game genre music. Not only that but Blake makes his own vector-art to accompany his musical work and finds time to plumb the FL Studio SDK for custom functionality with the program. Blake managed to squeeze a few minutes into his day, sometime around 4 am, to answer our questions. I first got into music back when my parents bought me an Atari ST. I used to spend hours making rather dodgy sounding remixes of popular songs as well as my own music. 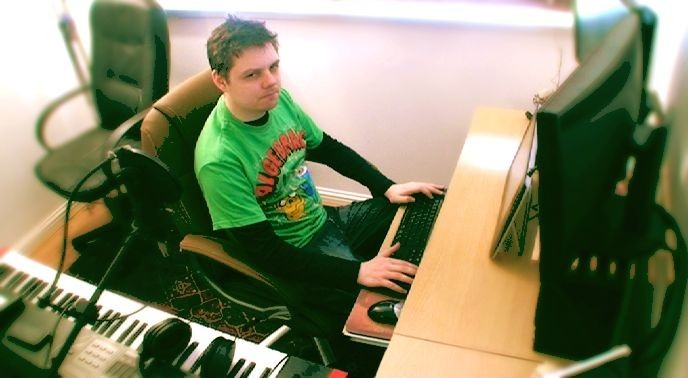 It was always just a hobby though, and I ended up with a career in video game development as a programmer, working at Electronic Arts for around 10 years. Over time, music slowly became even more interesting to me than video game development. A couple of years ago I finally said goodbye to the games industry and got a gig scripting and creating virtual instruments and sample libraries for some of the big names in the music software industry. I started to compose big orchestral video game remixes to test out the sounds I was developing and it slowly grew from there. I've just now released my 130th remix through my site, The Synthetic Orchestra, and plan to continue for as long as I have the spare time. I'vealso just released my first album of original orchestral music and have started on my next. When I'm not composing, I'm hard at work developing commercial and private sounds and sample libraries. I've been involved with companies such as CineSamples and Spitfire Audio and helped to develop the tools that many professional composers use in big Hollywood scores and mock-ups. The project I'm most proud of working on so far has been Spitfire's Albion library, a collection of epic cinematic instruments for film composers. As a musician as well as a programmer, I have quite a unique workflow when it comes to sample development. I utilised FL Studio quite heavily during the development of Albion, both to get a feel for the product as an end-user, and to automate and test various aspects of the software. The tools provided, such as the FL Dashboard, let me generate really efficient templates to test the software I was creating and ensure an optimal sound. We are fascinated by the artwork that accompanies your music, is that yours too? It is. I like to try and sketch out the scenes that were in my head while composing to give people something to look at while listening. It's funny - a lot of the time this art takes longer than the accompanying piece of music to write. I use a basic vector-art graphics program and draw in the silhouettes then add a little shadowing underneath to add some contrast. I really like vectors and the way they give you complete control over the lines and shapes. I'm also a fan of minimalistic artwork and so clean white shapes on blocked colours really appeals to me. How did you start using FL Studio? I used to use various DAWs and sequencers and would always get frustrated with the traditional track-based method of working and the pain of having to switch between tools on the piano roll. A friend suggested I take a look at 'Fruityloops' and I was instantly hooked. Not only did the patterns in the playlist feel just right, but the piano roll was more powerful than anything I had used before. Years later and it's still the piano roll and the tools around it that have cemented FL Studio's place as my go-to DAW - Everything else just feels sluggish and counter-productive. The FL SDK has proven invaluable, too. As a software developer it's great that I've been able to develop my own custom plugins and tools to optimise my workflow. Hardware wise, I was a big Gigastudio fan back in the day and used to have a small collection of dedicated sampling machines. However, with the way technology has changed I've managed to streamline my workflow and I'm currently running FL Studio and all my audio software on a single i7 with 24gb of RAM & twin 23" video monitors. I have an old RME HD9652, A CME UF7 MIDI controller and an SE2200T microphone for when I need vocal recordings. For monitoring I use Sennheiser HD 265's that are actually close to dying they've had so much use and a pair of Yamaha MSP5s. Also, as a developer and obsessive collector of sample libraries, I keep my virtual instruments on a large array of solid state drives. Synthorchestra is the main website for my music. I keep this up to date with the remixes, covers and original releases. 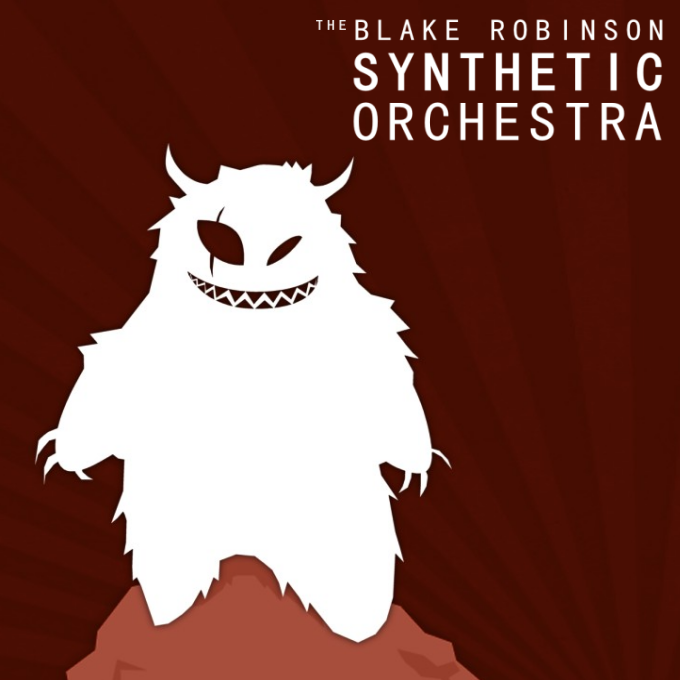 Blake @ YouTube - the first place I usually post my orchestrations and remixes. BRSO Articulate is a free plugin I've developed for FL Studio 10+ that simplifies the process of using 'Keyswitches' in your compositions. It allows you to utilise any of the 16 Voice Colours in the piano roll to activate a particular keyswitch, mod wheel value or UACC code in your sample libraries. Think of it as an FL Studio version of Cubase's VST Note Expression mapping.